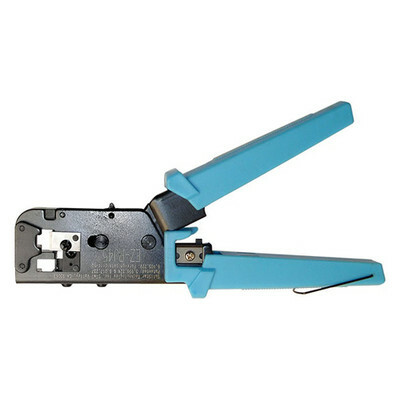 This crimp tool is designed to quickly crimp and cut the wires of the EZ-RJ45 Connector in one simple operation. The ratcheted straight action crimping motion ensures a uniform crimp every cycle. This tool features precision cast crimping dies for superior accuracy. The all-steel frame has a rust-resistant black oxide finish. For use with all EZ-RJ45 Cat5e & Cat6 Connectors. Very well made and will give many years of use.